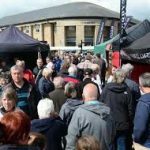 The ever popular Bakewell Food Festival which attracts thousands of visitors is now in its eighth year and will once again be held around the streets of the beautiful and historic Peak District riverside market town. Bakewell’s wealth of shops, pubs and cafes will be open as normal. With craft and gift fairs in the Town Hall, Brigade Hall and Medway Centre. Approximately 100 stalls with the focus being on food and drink the Bakewell Food Festival will once more be celebrating the wealth of excellent local produce that the Peak District has to offer. The town’s historic streets will be host to more than their usual splendid offerings of food fayre to tempt your palate. Foodies and families are in for a treat when Tewkesbury Food and Drink festival returns to the historic town for another deliciously good event. A highlight on the annual calendar, Tewkesbury Food and Drink Festival will make its anticipated return this summer, with tasty treats, demonstrations, stalls, and more on the menu. 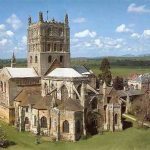 The weekend of culinary delights will take place on Saturday 22nd and Sunday 23rd June 2019, when a food and drink marquee featuring more than 60 stalls will be set up in the stunning grounds of Tewkesbury Abbey. Promising fabulous flavour’s and tempting treats, visitors can browse a wealth of local produce spanning award-winning Cheeses, Cakes, Pastries, Meats and of course our Artisan Preserves, while Beers, Wines and Ciders will also be on offer. Other highlights across the weekend will include a cookery theatre, live demonstrations from local chefs, and children’s activities. ….what, you’re bored already? Fine. Then we’ll have to give you something else to keep you entertained. Our festival is all about artisans, so we’ve invited some of Shropshire’s finest craftspeople to exhibit their wares. They’ll be demonstrating, talking and selling throughout the weekend; explaining how they use natural materials to create works of art. There’ll also be plenty of talks and demonstrations. You’ll be able to ‘have-a-go’ at baking and learn some of the skills that local food producers use day-in and day-out to make scrumptious food. Some of our finest chefs will stage demonstrations; where you can see how they create their award-winning dishes. There’ll be plenty more besides. Kids’ entertainment and music will also be on the bill – and we’ve also teamed up with the Shrewsbury Film Society, who will be screening foodie films at The Hive, in Belmont, throughout the weekend. 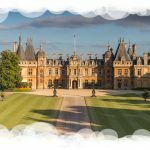 Nestled in the Chiltern Hills, Waddesdon Manor was built in the style of a French château by Baron Ferdinand de Rothschild in the 19th-century. 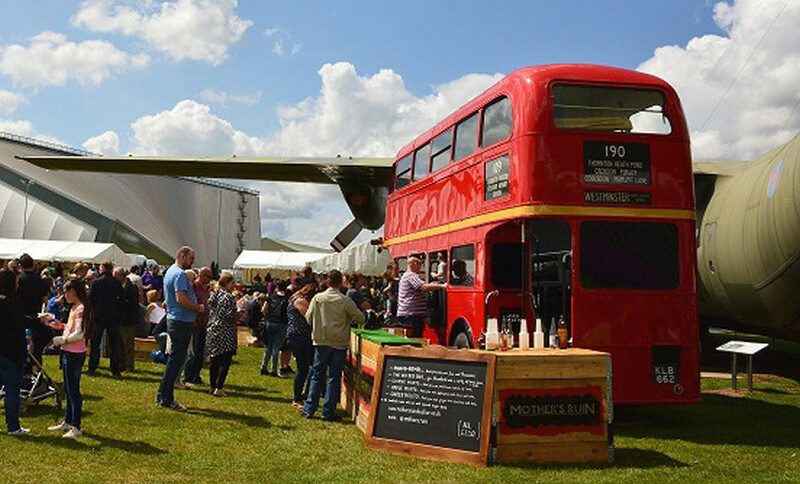 With thousands of visitors every, our yearly special events grow in popularity every year with food and drink firmly at their core. This year their is an exciting main ring programme, great shopping opportunities combined with an extensive range of show classes. The show is organised by the Ashby de la Zouch Agricultural Society. This is the palace to get a wide selection of LOCAL FOOD AND DRINK BRITISH PRODUCE. There are lots of things to ‘try before you buy’ in the very popular British Farm Produce Marquee. Why not sample some of the region’s best cheese, get a perk up with a great coffee, purchase from local farmers or just enjoy a cooling ice cream. Unfortunately no dogs are not allowed in this marquee apart from Guide Dogs. Enjoy browsing around unique stalls here at the Ashby Show where we have our own shopping marquee. Its packed with local producers and you will find products from clothing, country ware to tools and equipment. This fantastic event is set to return on the weekend of the 20th – 21st July 2018. Now in its sixth year, the event regularly attracts some 7,000 people. A whole host of independent food and drink suppliers from across Shropshire, Staffordshire and the West Midlands will be exhibiting a wide range of local, fresh and handmade produce. With cooking demonstrations, live music and family entertainment taking place over the weekend, it is sure to be a great day out. Don’t forget to like the Cosford Food Festival Facebook page for news and competitions. Dogs are not permitted inside the food festival unless they are an assistance dog. The festival is open from 10.00am to 5.00pm each day. For enquirers please telephone 01902 376252. A free park and ride system will operate from the Cosford train station car park. Normal parking charges apply on the museum grounds.